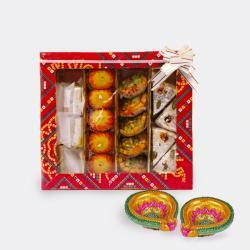 Product Consist : Soan Papadi (Weight : 1 kg ) with Diwali Card and Assorted Fire crackers (Worth Rs.300/-) (Note: Types of Fire Cracker are depends upon their availability no specific choice). 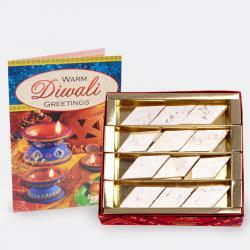 On this Diwali, fill your loved ones with absolute elation by pampering them with ultimate gifts. 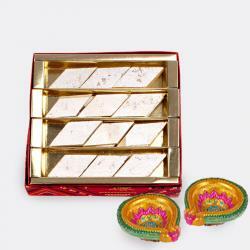 This is an exquisite hamper that consists of a box of 1 g of mouth watering Soan Papdi, a lovely greeting card with best Diwali wishes message in it for your loved ones and assorted fire crackers worth Rs. 300 that includes sparklers, ground chakkars, sparkler threads and so on. 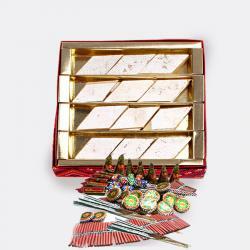 So go ahead and make this Diwali celebration a memorable affair for your family and friends by treating them to such awesome gift hampers. 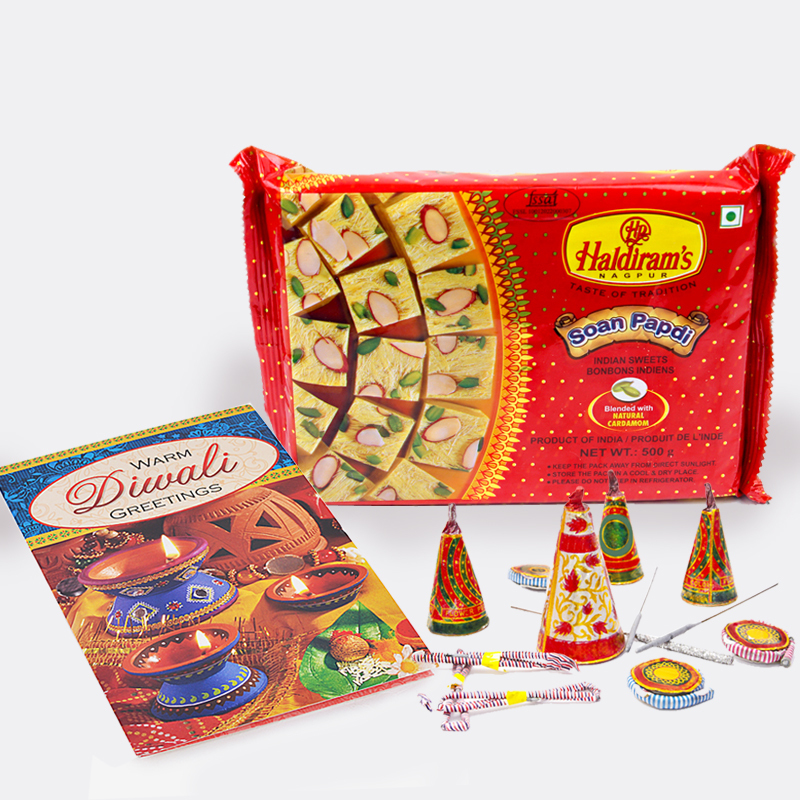 Product Includes : Soan Papadi (Weight : 1 kg ) with Diwali Card and Assorted Fire crackers (Worth Rs.300/-) (Note: Types of Fire Cracker are depends upon their availability no specific choice).